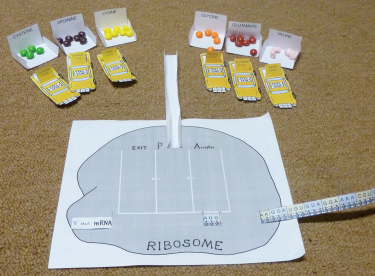 (Target age group: 10-16, but specifically designed for students who are already studying how ribosomes make proteins. No supporting info text is provided.) For a short video showing how this activity works, click here.